Tuesday 18th November – 7pm at The Ellington Jazz Club – BOOK NOW Diana May Clark – “The Other Side of the Girl” Album Launch – feat. opening act by Juliana Areias & Doug de Vries Trio. 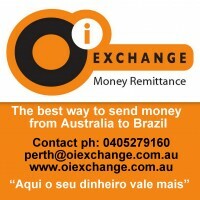 (touring from Melbourne/ Brazil). Juliana Areias is thrilled to announce that she will be sharing the stage and supporting her superb friends and performers from Melbourne for one night only magic presentation. 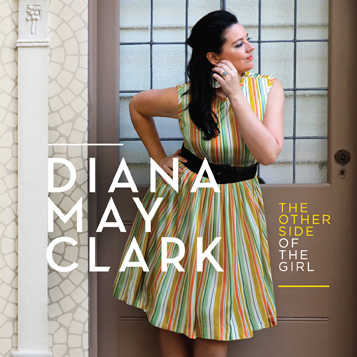 Melbourne singer-songwriter and Brazilian song interpreter Diana May Clark launches her debut original album ‘The Other Side of the Girl’ at this special Ellington Launch event, with the support of Perth based Brazilian Singer Juliana Areias and the virtuoso Doug de Vries Trio. Diana May Clark established her interpretive credentials by way of 2 award-winning recordings with Guitarist (collaborator and husband) Doug de Vries. Their take on the Brazilian Songbook is superb. This project of ‘sunny grown up pop’ was in response to Clark taking to the piano after losing her voice for a winter. It combines the pop/rock/jazz influences she grew up with and the font of ‘musica brasileira’ that she still loves. Produced by Greg Arnold (Things of Stone and Wood) through a 60s Pure Pop filter, this is an album of summer anthems. Playing Perth in acoustic mode, Diana’s songs speak of unity, the wheel of life, travel, family and having an escape plan. Her ‘film-noir’ ripe vocals the heart wrapped in collaborator/husband Doug de Vries’ cool guitar riffs and the good groove of Alastair Kerr’s drum kit and superb Pete Jeavons’ bass. Patrons can expect psychedelic melodies peppered with occasional Portuguese lyrics, – don’t be afraid to dress with a 60s twist and be ready to fall in love with Diana’s sound! “From the get go, Diana May Clark & The Sunny Sets’ ‘The Other Side of the Girl’ makes you wanna undulate. Not nod your head, not tap your toes nor click your fingers – you wanna move your hips. This is a disc designed to drive you to the dance floor. Pat Monaghan (Basement Disks, Melbourne).